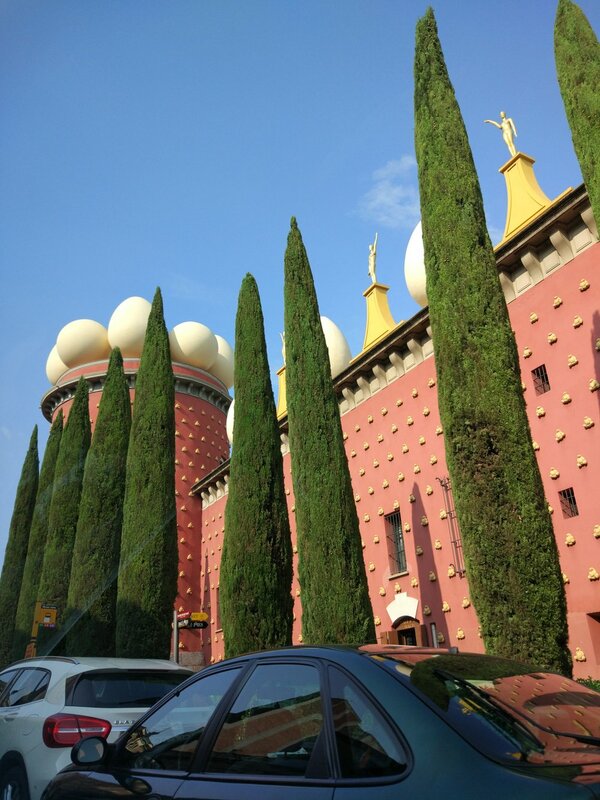 This time traveling in the footsteps of Salvador Dali took us to Figueres. 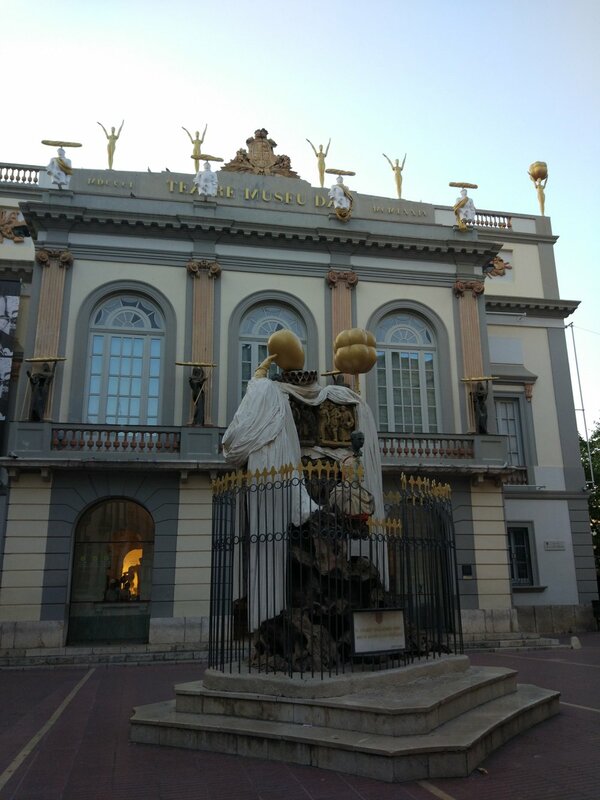 This is where the famous Dali Theater-Museum is located - this is the second most visited museum in Spain (with 1,368,755 visitors in the year 2016)! The town is located 140 kilometers from Barcelona, and the trip takes about 1.30 hours by car. The museum was opened in 1974, and thus during the artist's lifetime - he died in 1989. 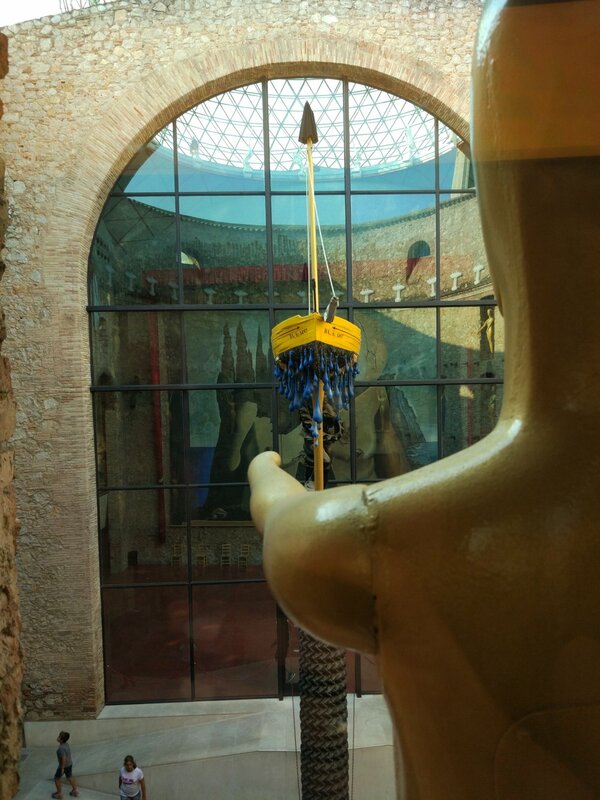 Therefore, Dali himself participated in his design The place where it was opened is not accidental - it is located in his home town of Figueres. The building was built on the ruins of the former theater - hence its name. Like everything associated with Salvador, the museum itself is extraordinary and unique. The roof is decorated with elements resembling huge eggs and golden figures. - they are visible in the picture. However, the most important is what is inside the museum. 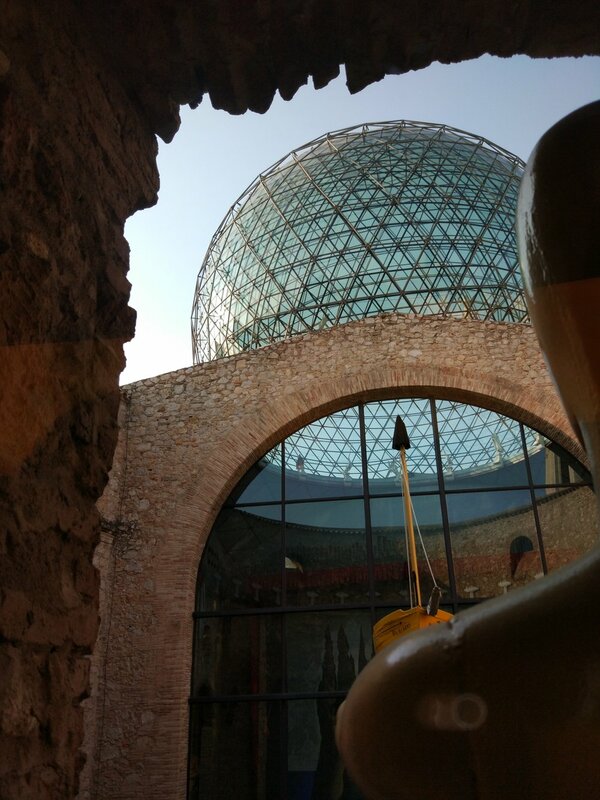 Enthusiasts of the work of Salvador will be delighted - the museum is the largest collection of artist's works. Here are his paintings, sketches, sculptures and even the furniture he designed. 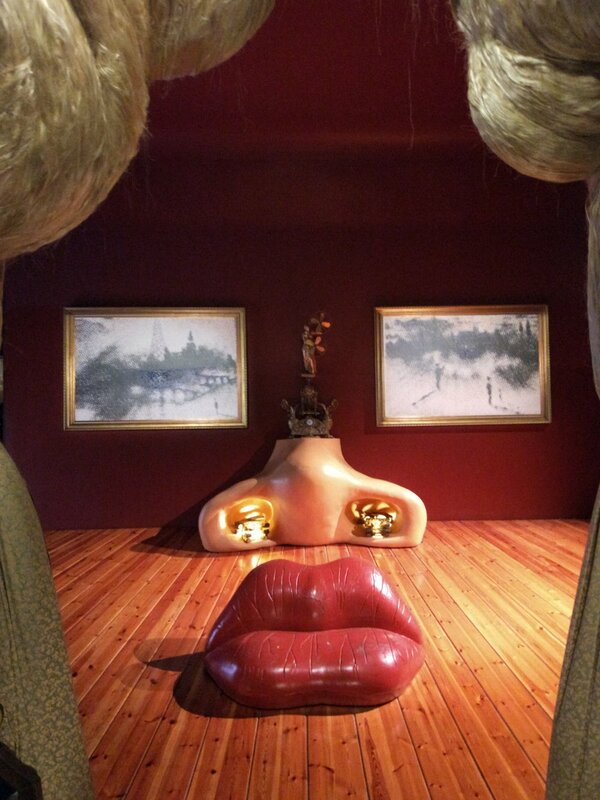 One of the most famous and interesting works is "The face of Mae West" - it is an artistic installation in which the original interior design elements from a special point of view look like a woman's face! This is clearly visible in the pictures. In addition to the unusual works of Salvador, there are also several works by other artists whom Dali respected and admired. We find here paintings: El Greco, Bougereau, Marcel Duchamp and John de Andrea. 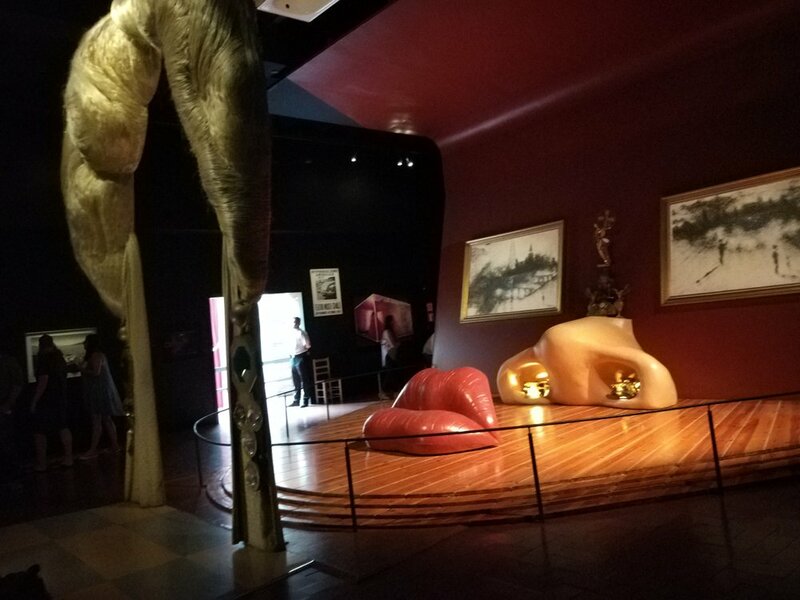 We encourage you to visit the Dalí Theater-Museum - no other museum in the world is similar to it - it is worth to be carried away by the unusual visions of Salvador! Protip - in August there is the possibility of visiting the museum at night - it will raise the atmosphere of this amazing place even more!